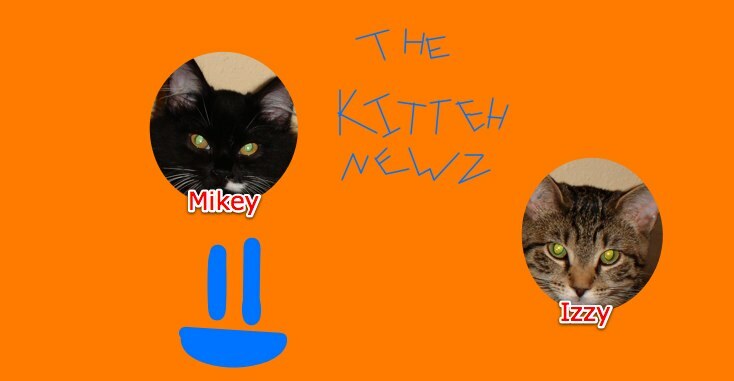 The Kitteh Newz: Our Fans' Favorite Meow-o-ween Costumes! We have seen lots of you headed off to the polls... for Election Day... and Meow-o-ween, too. You may have noticed the 'What's your fave Kitteh costume' polls on the side of your favorite Newz website. (That's newz, not news. Don't get 'em confused.) We do hope you had time to go to the Vote For Your Favorite Kitteh Halloween Costume post and vote on your favorite costume via polls. Anyway, here are the winners!!! For Izzy's costume, we are tied between Witch and Ghost Collar!! For Mikey's costume, our winner is Witch!! And for the all-time favorite costume... we are tied between Mikey's Witch, Mikey's Little Red Napping Hood, and Izzy's Witch!